Simply put, they stay Focused. They stay focused on the end goal, the prize, the task, the desired result, the DREAM. They understand that with out focus they have chaos and with chaos they have mediocre results. The ability to choose a goal and work toward it without getting distracted is a trademark among highly successful people. 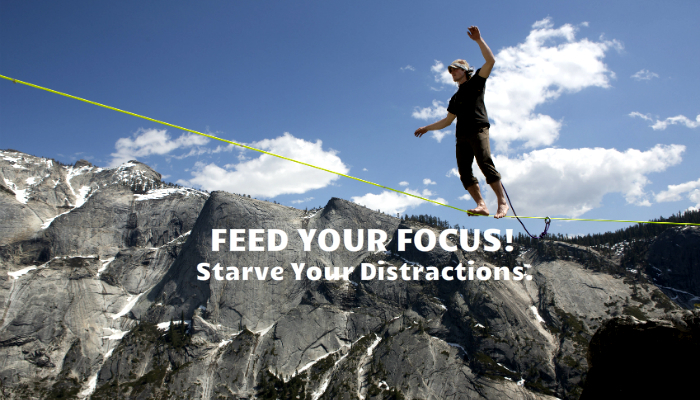 To help yourself stay focused, create a list of priorities and use them to select which opportunities to pursue. Don’t get distracted by the illusion of a missed opportunity, because you believe you have to do everything that comes your way. Stay locked and loaded into your goal and don’t get distracted. 1.) Work at the edge of your comfort zone. Being in business for yourself comes with a certain level of risk and truly successful take calculated risks. These risks bring you out of their comfort zone, but they don’t get you overwhelmed with anxiety to where you can’t make clear decisions. There is no magic to success and it will nearly impossible to find someone that has the passion that you do about business and it’s mission. Take that passion for your end goal and embrace the daily chase to reaching it. It will prove to be an enjoyable ride and major growing opportunity for you in business and life. Time and time again you see so many entrepreneurs working on tasks that highlight their weaknesses in an effort to make them a strength. This is insanity. I say hire that stuff out and focus on making your strengths stronger. It will prove to be one of the best decisions you make in the rapid growth of your business.